This hostel was absolutely perfect for our stay before and after the W trek. 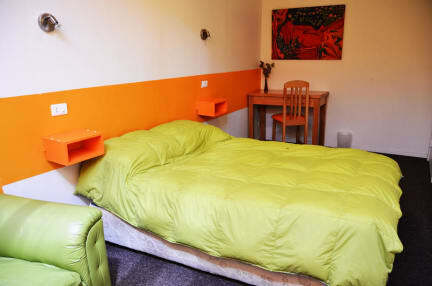 The beds were comfortable, shower pressure good, and facilities were clean and convenient. Andres made this place the best though by being so welcoming and helpful. He personally went to the post office to check for my mail when it didn’t arrive yet while we were on the W. He was really flexible when we needed to push our reservation a day and let us check out late. 100% recommend and would stay here again. 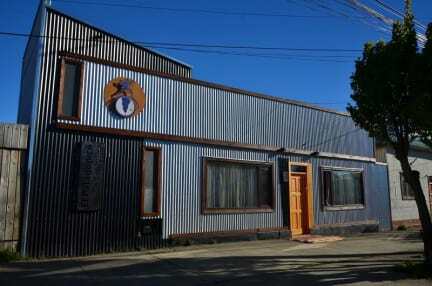 Great Hostel with nice staff who kept my extra luggages during my W trek in torres del paine. Andres speaks great English and is super helpful! Great place! Alex is super helpful for planning your trip to Torres del Paine. They held onto our luggage, were readily available for after hours check in, and recommended great spots in town. I loved it here! I stayed before and after my backpacking trip in Torres del Paine, and it was very comfortable for me. Super clean, nice staff, good location. Awesome hostel! The rooms were super clean and comfy beds. Hot showers (after a waiting a tad) and great kitchen. Super funky little living space that allowed a nice chill atmosphere for meeting new peeps. Super accommodating staff, thanks for making this place a treat Alex. Highly recommend to anyone passing through! The location is central to all the stores, restaurants, and only a 15 minute walk to the bus station. The couple who owns the hostel are really helpful and kind. The beds were comfortable, warm rooms, and the kitchen has everything you need. Great little space, facilities we're neat. Beds/ rooms weren't as clean as expected & did not smell pleasant. Easy to get to from the bus terminal & into/ around town. Staff were excellent. Had a verbal agreement to stay a second night. After many complications from being robbed, to no phone, to W-Trek campsite closure, my schedule had been cut short by one day. I could not contact the owner but tried to book online for the day earlier but there was no availability. When i arrived to apologize the owner was angry with me. I offered to pay for his loss but he refused. He kept repeating how much money he was losing because of me! as he sent me out the door (with anger). HOW RUDE !! !